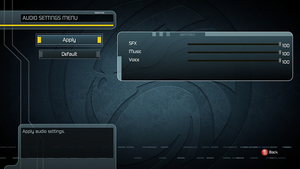 Well ported, including full graphics and control options. 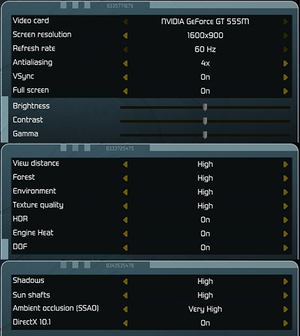 Access to DirectX 10 features requires running a separate executable. No third-party DRM, CD-key for online play. None of the multiple DLC packs released on console are available for PC. Cutscene dialogue is automatically subtitled, but in-game voiceovers cannot be subtitled. Some Steam users have reported issues with the game (especially the DirectX 10 executable) black screening on launch, forcing them to end the process using task manager. 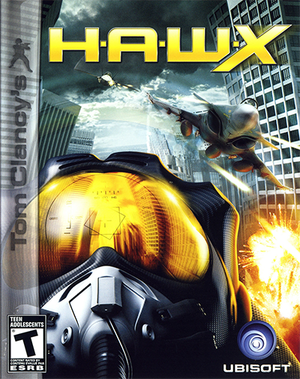 Right-click on the H.A.W.X icon in the Steam library. Select "Properties" and uncheck "Enable the Steam Overlay while in-game". Close the window and launch the game. A secondary cause is the game launching at an incorrect/unusable resolution. Game freezes every minute or so for upwards of 20 seconds. Disconnecting your computer from the internet whilst in single-player appears to resolve this issue. ↑ 1.0 1.1 File/folder structure within this directory reflects the path(s) listed for Windows and/or Steam game data (use Wine regedit to access Windows registry paths). Games with Steam Cloud support may store data in ~/.steam/steam/userdata/<user-id>/21900/ in addition to or instead of this directory. The app ID (21900) may differ in some cases. Treat backslashes as forward slashes. See the glossary page for details.